Ahh Laos. The land of a million elephants, home to lush surroundings and a traditional way of life unaffected by modern perils. Or at least… it was. While this pretty little land-locked country does still retain some of the charm and authenticity that's already disappeared with the Golden Arches and flashy cars found throughout its more modern neighbours - Laos certainly hasn't escaped the enormous change and fast development sweeping through the region. As is the case in almost all of South East Asia, Foreign investment, particularly from China, is altering the economy and landscape. Towns that used to be sleepy rural villages, such as evolving Vang Vieng, are morphing into thriving tourist hubs. The times they are a-changing, and the relaxed way of life and calm Buddhist feel that is so charming to visitors is gradually evolving. Take our word for it; now the time to visit Laos! If you’re prepared to travel a little deeper off beyond the normal tourist tracks, you’ll find yourself totally absorbed by the traditional lifestyles all around you. Vientiane, potentially the sleepiest capital city in the whole of Southeast Asia has a great deal of small town charm going for it. Vang Vieng might still have the infamous party town reputation of years past, and Luang Prabang has grown as ‘must-see’ tourist spot in SE Asia, the reality is that life away from the main drag in both of these places is still pretty traditional. In rural areas, the tractor of choice is still the trusty water buffalo, and thatched houses are a common sight across the country. 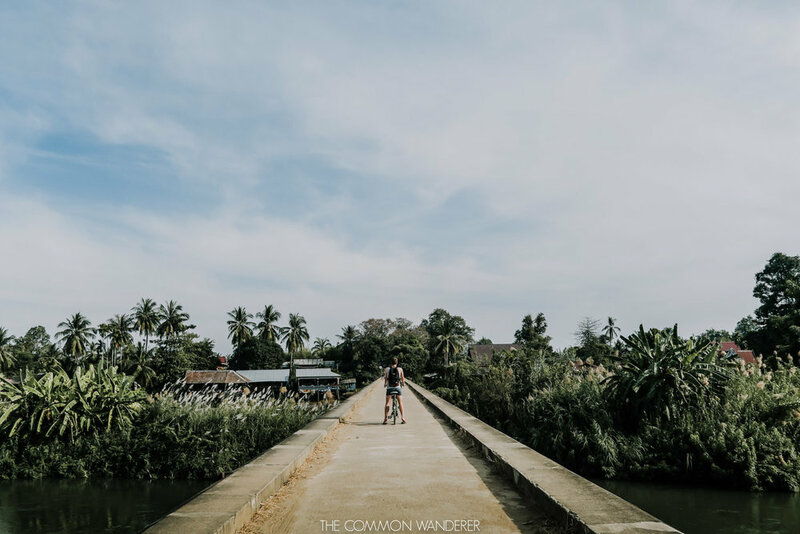 All it takes is a bike ride to some nearby villages or a stroll down some back streets and you’ll find many things haven’t changed in the daily lives of residents. You might even bump into the friendly locals who invited us over for a chat and made sure our cups runneth over with Beerlao in Luang Prabang. There’s no doubt that Laos’ star will only continue to rise amongst the backpacker tribes and gradually, tourism will ebb away some of that realness. How long it retains what’s left of it is anyone’s guess… Are you willing to wait and find out? From Luang Prabang to Vang Vieng, steamy Jungles to the mighty Mekong; Laos is just so dang naturally beautiful from every angle. The jungle-clad limestone karsts of Vang Vieng and the picturesque Nam Song river are reason enough to get here ASAP, while the dense, beautiful jungles of the north and west are home to a vast array of animals including tiger and elephants (though their numbers are sadly diminishing). Then there’s the Mekong River, which winds its way through some pretty exotic and fascinating areas, like the 4000 Islands and Don Det. Oh, and there are also literally thousands of caves to explore, including Kong Lor Cave near Pakse. This natural beauty could all change soon though, with large tracts of land being rented to Chinese developers, and reports of huge-scale illegal logging on the rise. Basically, Laos’ beauty and natural resources are being plundered at a rapid rate, so how long all this beauty will remain is anyone’s guess. Get here now, and witness this special scenery before it’s just a distant memory. When we say Laos is cheap, we mean it packs far less of a hit to the hip pocket compared to your travels through Europe, America, South America and Australia - though by SE Asia standards of cheap, it’s a bit more expensive than its neighbours. Importantly though, Beerlao is cheap; like $1 per 500ml cheap. As tourism starts really driving costs up throughout the country, are you willing to chance those prices increasing when you decide to visit in a few years? So, Laos has tigers in the wild and they’re kind of a big deal. So are Asian Elephants and Laos has them too, which is all the reason you need to visit Laos and explore deep into the jungles of Nam Ha National Park, near Luang Prabang in the north. If you venture further south near the border of Thailand, there’s also the Gibbon Experience, a community-based ecotourism project where you can zip-line through the rainforest canopy and sleep in the world's highest tree-houses deep in the jungle. It’s the perfect place to be at one with nature, and extend your appreciation for those lovely green oxygen-makers we rely on. We all know the current situation with deforestation and the shrinking natural habitats of some of our favourite animals. As time goes on, the chance to witness these great wild creatures in their natural homes could be lost. Do you need any more encouragement to get here before it’s too late? Like your adventure? Love that adrenalin kicking in? Well, Laos offers adventure-fuelled experiences in abundance. Embrace your inner adrenalin junkie and zip-line, rock-climb, trek, cave, kayak, tube, and hot air balloon to your heart’s content. But don’t wait - increasing tourist numbers, land buy-ups, and changing landscapes mean that the appeal of these activities may be short lived. Visit Laos now! Think we've missed another reason? Let us know in the comments below! Evolving Vang Vieng: Hedonistic Party Town reformed?